Farewell Autumn | Small Batch Roasting Co.
We are very very sad to farewell autumn (our roasters are the only source of heat at SBHQ, Jamie is getting a bit sick of trying to cook all our coffee when the rest of us are huddled around the flame). Winter will bring us all sorts of show-stopping whizbangers from Africa and Guatemala, so this month’s Drip Feed is a bittersweet last hoorah for our spectacular month of Colombian smallholders. We’ve been around the traps a fair while now, and every season we become more and more convinced that our greatest impact is achieved by working closely with smallholders farming regeneratively, investing in their farms and being the buyer they tell us they need. Having the best coffee in Melbourne is a delightful byproduct of the work we enact on the ground, and Colombia is where we achieve this the most. 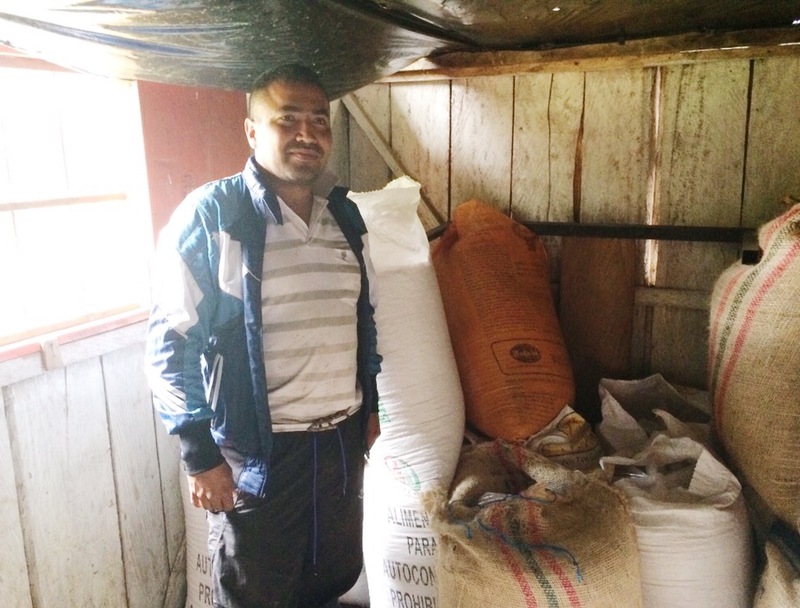 Luis Octavio Titimbo – microlot separation at the farm level. Left stack Caturra varietal right stack Colombia Varietal. We’ll take both thanks. 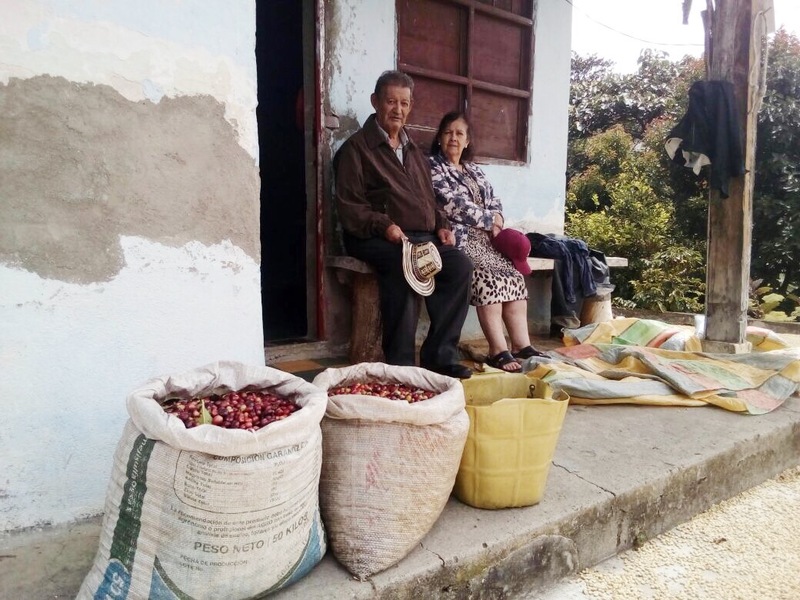 Our favourite filter coffee right now comes from one of our long-time producer partners in Colombia: from the town of Bruselas in Southern Huila, Luis Octavio Titimbo has delivered again. We don’t have enough of this fine man’s coffee to be able to release it on our wholesale offer list, but we do have enough to roast just for you dear subscribers. He’s a member of the Los Guacharos group of independent smallholders who have brought us many many tasty coffees over the years. Together they are all converting away from chemical inputs, installing water filtration systems on every members farm, and embarking on processing experiments to improve the coffees we brew. We love this coffee for filter brews, always have. It’s complete: vibrant and juicy with a velvety mouthfeel and truly madly deeply sweet. Butterscotch and creme caramel. A classy drop. The ultra sweetness of this coffee is due to a particular processing regime: the coffee undergoes an extended fermentation of 36 hours after depulping, and then given just one light washing with fresh water. What does this mean? The parchment coffee dried with a proportion of sticky mucilage still intact. This is a fully-fermented semi-washed coffee, which was then slow dried over three weeks. We get all the complexity of acidity and brightness that full fermentation provides, with an extra layer of sweetness from the mucilage. This is our fourth proud purchase from Luis Octavio. Claudio Leon Cabrera is 72 years old. He and his wife are dedicated farmers and artisans, woking on a very humble scale to produce absolutely world-class coffee. Claudio Cabrera and his family grow Caturra (it’s our favourite, can you tell?) at a whopping 2000masl. His teeny-tiny farm is on the steep volcanic slopes of Buesaco, Nariño, in the township of Pajajoy. His farm goes by the same name. It’s an absolute cracker of an espresso coffee and one that the team has collectively frothed over this last month. Our internal QC tasting notes don’t lie, and I quote: honey, pastry, fruit pie, super melted pain au chocolat, candied orange peel, almond butter. balanced. yum. Volcanic soils are packed full of minerals, and like most good farmers Claudio maintains healthy ground cover, shade trees, and thus preserves the natural richness of the soil type with high amounts of organic matter in the topsoil. High-altitude Caturra grown on rich, not impoverished, soils can pack a tasty punch. Why? The colder climate and significant diurnal temperature changes mean Caturra cherries are smaller and more concentrated in sugars and amino acids than at lower warmer climates. Nariño has offered us full creamy bodied espressos with the cleanest and classiest of sweetnesses. The gateway to the Andes, it’s also our favourite department to visit. The air is cleaner, the food less fried, and culturally it’s a little more relaxed, living la vida a little less loca. Thanks for your support and we hope you love the coffee. If you have any further questions please reach out to us at hello@smallbatch.com.au. Happy brewing!